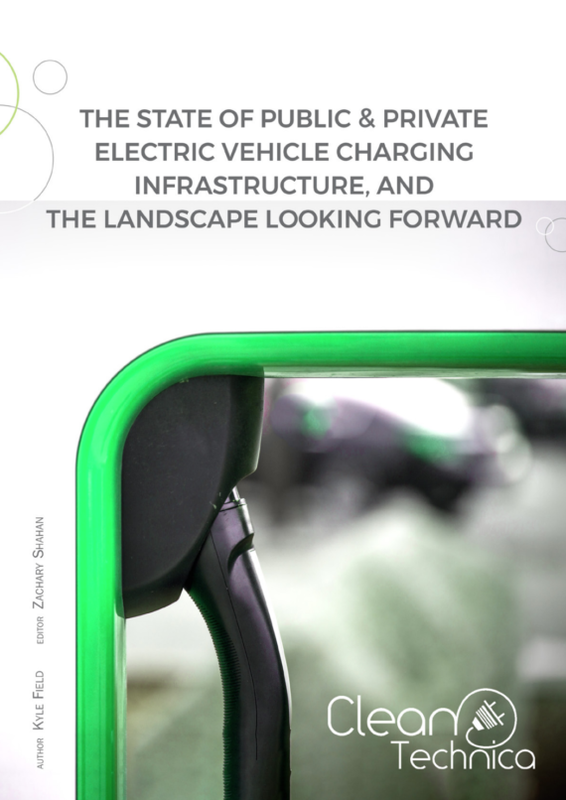 We recently published our first report focused solely on electric vehicle charging. It’s a deep dive into residential EV charging stations, public EV charging stations, commercial EV charging stations, EV service equipment innovations, EV charging business models, and electric vehicle adoption trends. Below is one short section of the report. Plug-in vehicle drivers have more options than ever when it comes time to finding a plug-in vehicle charging outlet. In the US, charging network operators such as ChargePoint and EVgo have developed robust smartphone apps that make finding a station within the network and with their network partners easy. For example, the ChargePoint app lets drivers find ChargePoint, Blink and EVgo stations. In other countries, there are often similar networks with their own apps for local drivers. That works well for people who are familiar with an area or who are flexible when it comes to the location of the electric vehicle service equipment (EVSE). Drivers in unfamiliar territory, however, are often better served with network-agnostic smartphone apps such as PlugShare (www.plugshare.com), Open Charge Map (www.openchargemap.org), Charge Map (www.chargemap.com), or other global or regional apps. Naturally, those services are also helpful to make sure an EV driver knows where the nearest or most convenient charging station (from any provider) is. It was common for early adopters to use a network-agnostic app to find a public EV charging station only to find out that another app from the charging network operator was required to actually use the EVSE, and though the situation is improving, this is still the case with most charging stations. Smartphone apps have allowed charging station and network operators to offer more value to customers, including information about individual EVSE connector availability, EVSE station details, nearby amenities, and similar helpful information. These offerings continue to iterate as customer feedback is merged with internal innovation from solution providers. There are also a large number of non-networked free charging stations out there. These are often backed by governments or by retail outlets that want to attract customers to their stores while implementing more green, corporate social responsibility (CSR) programs. On the manual front, many public chargers originally implemented tap-to-pay systems that required customers to sign up in advance for a ChargePoint / NRG EVgo / Blink / etc. card before any charging stations from that network could be used. This quickly evolved to include smartphone apps to eliminate the possibility of someone arriving at a public EVSE and having no option to actually use the station in a pinch, but it still required individual apps from each charging network operator. To improve on a known pain point for customers in the US, the ROEV Association (www.roev.org) was formed to create a single card and standard that would work for all partner network charging stations. Similar solutions have cropped up on the startup front, like the single-payer card solution from Charge Map, which requires an upfront fee to purchase a card that can then be used on multiple networks. Plugsurfing does the same in much of Europe and is extremely popular there. It was just acquired by Fortum Charge & Drive as part of a quicker expansion plan across the continent and probably globally. Of course, if you have a Tesla, you can charge on Tesla’s Supercharging network, and if you don’t, you can’t. Charging can be started at the station very simply without a card. You just open & unlock the charge port, take the cord from the station, and plug it into the car. The public EVSE network as it exists today is diverse and dynamic, with new hardware and solution providers cropping up nearly every week. As plug-in vehicles continue to move into the mainstream, expect to see consolidation and a drive towards charging connector standardization from large corporate players in the space, governments, and activist groups.